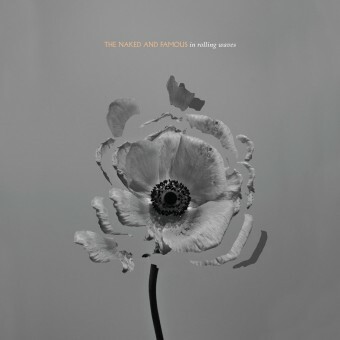 If M83 and The Civil Wars had a baby and hired NIN as the nanny, The Naked And Famous would be that child. The New Zealand-by-way-of-LA quintet’s sophomore album, In Rolling Waves, was recorded at LA’s Sunset Sound with Alan Moulder mixing it at his studio in London. The band has already hit that musical sweet trifecta: tv series (Gossip Girl, Grey’s Anatomy), movies (The Cabin In The Woods, Pitch Perfect), and commercials (Cannon) have all featured their music, among others. The group maintains their love affair with glossy production and massive hooks all while experimenting with more introspective themes and adding in folksy elements. “Hearts Like Ours” is the lead single of classic pop-rock anthem descent, destined to become tomorrow’s ear worm. Some of the folksy elements, such as piano, are blended in oddly on “What We Want.” On the other hand, “Mess” has gorgeous two-part harmonies relating a relationship gone bad starting off spare-then guitar riffs sneak in, percussion picks it up and it finishes as an awesome angry rock breakup song. Let’s just hope it’s not prophetic as far as the band goes because we love The Naked And Famous chancing their arm-even if we don’t always love the result.